Created by Alec Berg & Bill Hader, who stars in the title role, Barry launched its eight-episode second season March 31. 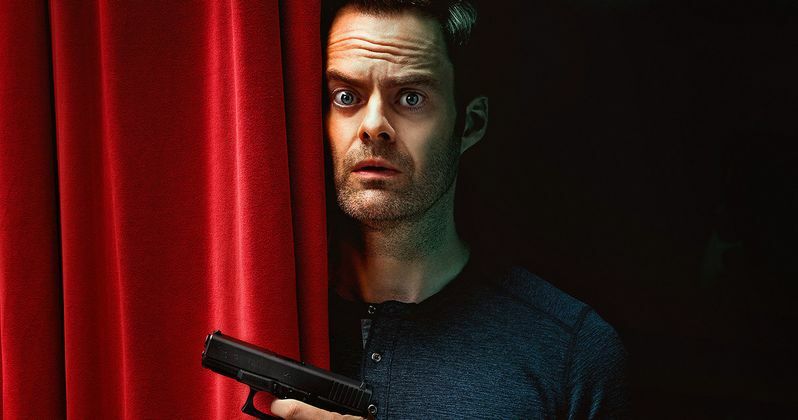 This season, Barry is attempting to untangle himself from the world of contract killing and fully immerse himself in acting. But while Barry has eliminated many of the external factors that pushed him towards violence, he soon discovers they weren't the only forces at play. What is it about his own psyche that led him to become a killer in the first place? Bill Hader and Henry Winkler lead the ensemble. Other Season 2 cast regulars include: Stephen Root as Barry's handler, who is alarmed to contemplate a future without his primary source of income; Sarah Goldberg as a dedicated acting student who becomes the object of Barry's affection; Anthony Carrigan as an unfailingly polite mobster; and Henry Winkler as a pompous yet endearing acting teacher who takes Barry under his wing. Barry received three Emmys for its first season last September: Outstanding Lead Actor in a Comedy Series (Bill Hader); Outstanding Supporting Actor in a Comedy Series (Henry Winkler); and Outstanding Sound Mixing for a Comedy or Drama Series (Half-Hour) and Animation. Season two credits. Barry was created by Alec Berg & Bill Hader; executive produced by Alec Berg & Bill Hader; co-executive producer, Aida Rodgers; consulting producer, Liz Sarnoff; supervising producer, Emily Heller; producers, Julie Camino, Jason Kim; co-producers, Duffy Boudreau, Amy Solomon. This news comes direct from HBO.